Android’s Instant Apps were officially launched at I/O in May, but we’re just now starting to see how monumental they can be. Designed to get apps up and running within seconds, the feature lets users try out fully functioning Android apps without actually installing them. 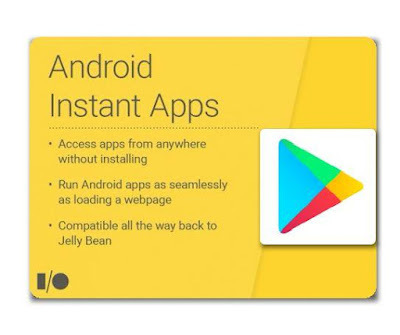 Just last week, Google unveiled the Instant Apps SDK 1.1, which brought a leaner and faster experience, and now Instant Apps are ready for their spotlight. Instant Apps are the future of mobile apps. Combining the speed of a web app with the design and functionality of a native one, Instant Apps not only free up space, they also let developers target specific features and sections exactly when a user needs it. Instant Apps is the first step toward a future where we don't need hundreds of apps cluttering our app drawers and home screens and taking up precious space on our phones. However, that future depends on the availability of unlimited bandwidth and internet access globally. 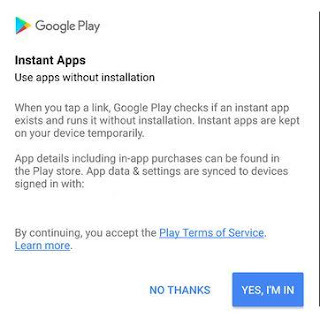 To experience the Instant Apps technology you must be running a fairly recent Android OS: Android 5.0 (API level 21) through Android 8.0 (API level 26). Support for the feature also needs to be enabled from the Google settings interface on the device. Lastly, there might be some market limitations or a staged roll-out in place, so, if you only see the familiar old "Install" button after going through all the steps, you should try a different device or wait a bit, since this is only the beginning.